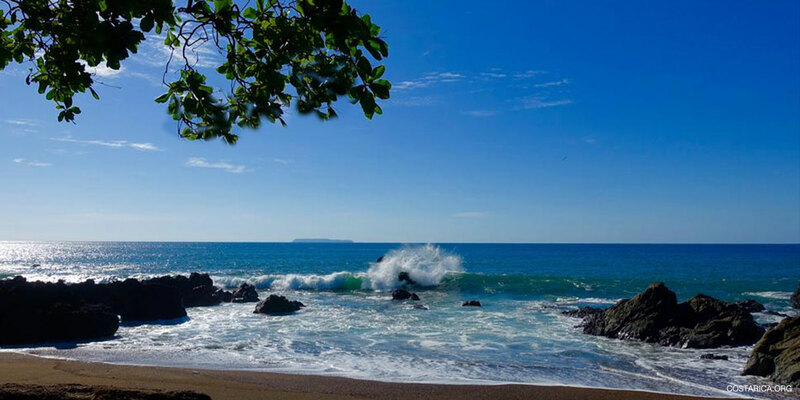 Without a doubt, Drake Bay is one of the most spectacular natural destinations in Costa Rica. This is the gateway to Costa Rica’s Osa Peninsula. It offers access to Caño Island and the Corcovado National Park. Described by National Geographic as one of the most biologically diverse areas to visit on the planet. 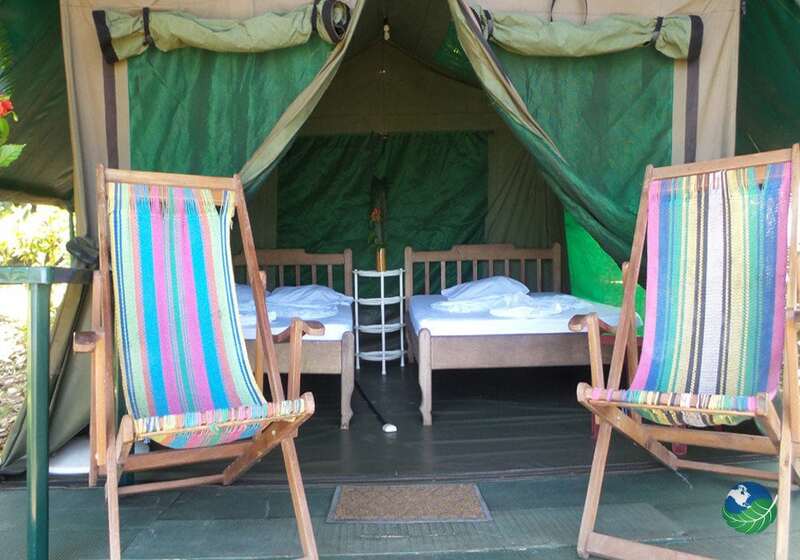 The Corcovado Adventures Tent Camp provides you with an affordable opportunity. 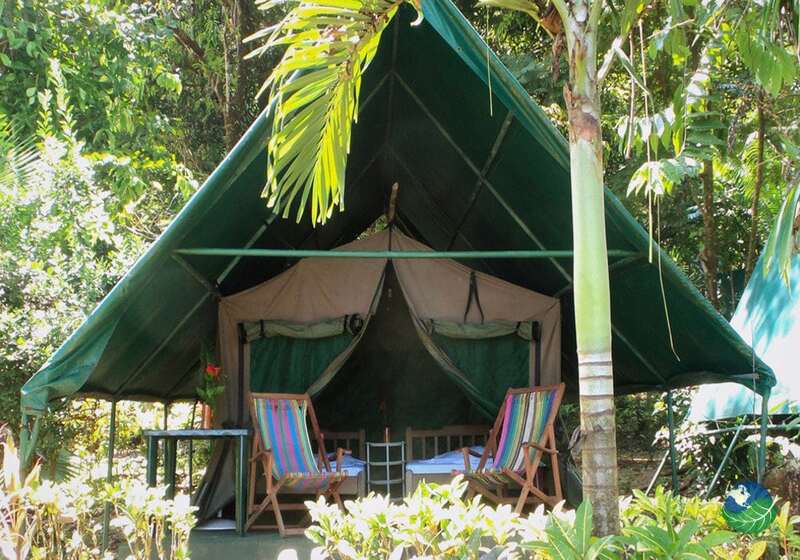 You can visit this natural paradise in clean, comfortable full-sized tents with wood frame beds. Its just steps away from the beach and ocean. Unlike many of the other Hotels in Drake Bay. 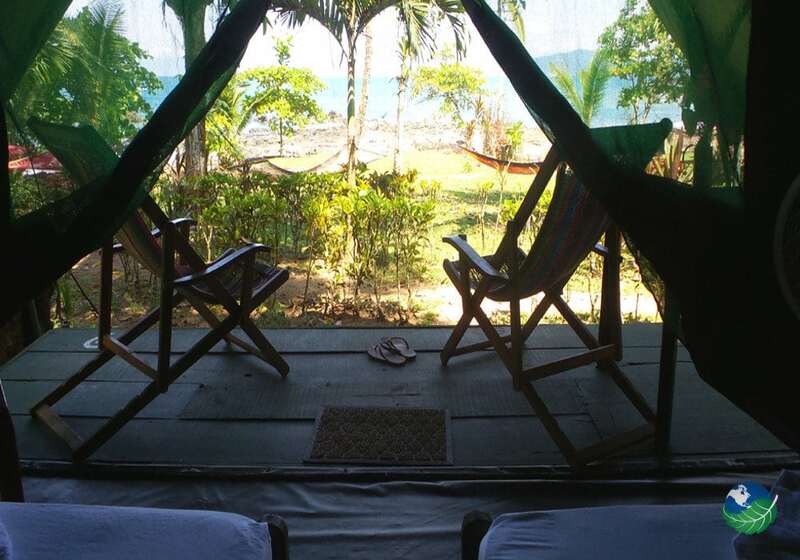 The Corcovado Adventures Tent Camp located right on a beautiful sandy beach. Named, Caletas and offers easy access to miles of hiking trails through the pristine forest. Visitors can explore a nearby waterfall or take a hike to the stunningly beautiful beach at Rio Claro. A true hidden gem that few tourists get to see! You’ll find plenty of activities to keep busy during your stay at Corcovado Adventures Tent Camp. A day tour to nearby Caño Island you should not miss. This is one of Costa Rica’s best diving and snorkeling spots. The island itself offers hiking trails to Pre-Colombian archaeological sites hidden in the jungle. On the boat ride to the island, you’ll have a chance to see dolphins and humpback whales that frequent the area. Another day tour worth taking is Corcovado National Park. This is a real natural wonder and one of the largest stands of Pacific tropical rain forest. Fishing trips, horseback riding, surfing, and hiking are also available from the camp. Ensuring that your time here’s well spent. Just because you’re camping doesn’t mean that you have to be uncomfortable! The large, full-size tents have two double beds on wood frames and are covered by a large tarp to protect them from the sun and rain. You’ll love the deck off each tent with chairs facing the Pacific Ocean. All meals are included during your stay here, and you’ll love the home cooked Costa Rica, and International cuisine served from the kitchen by your friendly hosts. 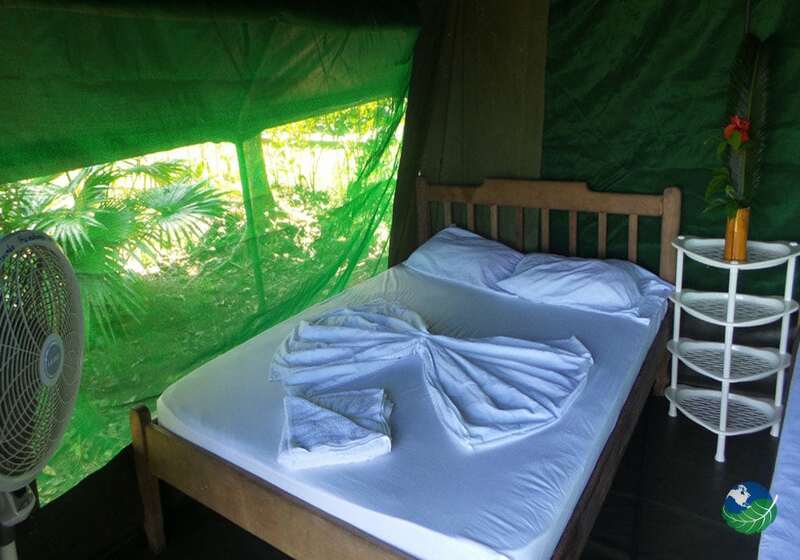 There are three to six-night packages to Corcovado Adventures Tent Camp which include round trip transportation from Sierra or the airport in Drake, lodging, all meals, and tours. This is THE place for nature lovers wishing to see the best of Costa Rica but not go broke while doing it. Whether you come for the adventure or just to relax, you are sure to enjoy yourself.